What Do You Find Challenging About Using Cloud Storage? Cloud storage has been revolutionary for computer and mobile users. We don’t have the storage concerns we once did … or do we? Everyone isn’t using cloud storage. While it seems it should be the answer to all our problems, it’s not. We asked our writers what they find challenging about using cloud storage. For the most part, the biggest complaint on the part of the writers is the lack of storage space on free cloud storage accounts. Shujaa in particular uses Google Drive, and you only get 15 GB for everything, including mail, Drive, and documents. If you want more space, you have to pay for a monthly service, and many try to find a way to avoid that. Judy notes that she understands the services can’t give everyone a free 1TB limit yet finds the current limits ridiculous. I pay for an upgrade on iCloud, but it’s only $1 a month for 50GB. I can handle that. Christopher also notes the problem of syncing cloud data to a new device. 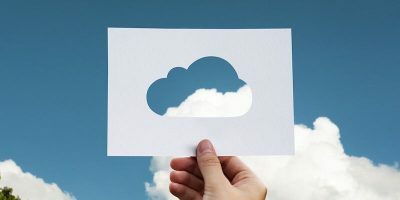 While it’s a pain, he notes it’s “obviously better than working with hardcopy backups,” yet if you have a poor Internet connection, the cloud is even more of a hassle. Shujaa notes that it’s also a problem to download your entire cloud account to a device. Damien finds it difficult to work with (different storage services (or the same service, but a different account).” He says that it makes “organization a headache” for him. Derrick uses both Drive and Dropbox, but for him, the problem is with bandwidth. He needs storage space for some particularly large files. So instead he has “built a server at my house, and that handles my bandwidth needs.” He only uses Drive for some files and uses Dropbox to hotlink shell scripts. Those are the challenges our writers find with cloud storage services, with a very heavy emphasis on them not offering enough space on free accounts. What about you?? What do you find challenging about using cloud storage? Let us know below in the comments section below. I do not use cloud storage because once your data is stored on someone else’s server, you lose any control over it. Also if you have large storage needs, you either pay through the nose or you are forced to use several providers. It’s easier and cheaper to provide your own storage. I had a tremendous amount of documents, music, and photos in One Drive. Then I received an e-mail stating they were making changes and my limit is going from 1 TB to 5 GB unless I pay their service fees come June 2016. My other choice would be to buy the MS Office online and pay annually. I think if you were a member earlier, you should be grandfathered in. I tried many different cloud services (free ones to start with). Many seem to work up to a certain amount of files, and then just stop syncing, even if you are well within the storage limit. This applies to ‘Box’ , ‘MEGA’, and also Sugar something (I think it was sugarsync). I used ‘Copy’ for a long time, then suddenly they sent an email, telling me they are discontinuing their service – within a few days. As far as I remember, they are not the only ones that are not there anymore. Can you rely on such a backup. I am also concerned about an infection with a Cryptovirus. If my files get encrypted without me knowing, the encrypted files will replace the good ones in the cloud – and there goes my backup. My ADSL connection is also a concern. My download speed is great, but the upload speed is not. It takes forever to backup things to the cloud. Overall I don’t think the cloud can replace local backups. I use a combination of OneDrive, Google Drive, and Box to handle backups of files I am currently working on between full image backups. This comes in handy when there is a problem, because I just need to find another PC with the software to keep working while the main machine gets fixed up. Note: I don’t keep anything in the “cloud” that is sensitive. I think I am in agreement with all those commenters above. I just don’t trust someone else to care about my data as much as I do. It’s like when you have a new computer and the hard drive fails during the warrantee period. They will replace the hard drive but they can’t replace your lost data! They might be able to recover it if they took the time and expense of a “forensic” recovery, but most will not even try. With All the Hacks Lately, Do You Still Trust Saving Your Files to the Cloud? Do You Purchase Website/App Subscriptions?